Based in Spain’s beautiful Andalucian province of Málaga, our home – as our name implies – is the Costa del Sol town of Fuengirola. 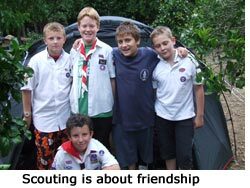 Affiliated with and under the banner of the UK Scouting Association we nevertheless bring an international flavour to our groups due to the cosmopolitan nature and different nationalities we embrace. The Scout Group includes Scouts, Guides, Cubs, Brownies, Beavers and Rainbows. Between them they cover boys and girls from ages 6 to 14. The Explorers are for Scouts and Guides over the age of 14. 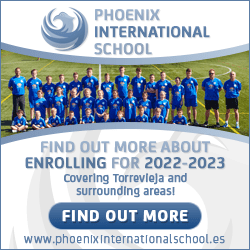 Our objective is to educate, enrich and entertain in a mixture of formal, informal, challenging or just plain fun situations. All our meetings usually take place in the Ark Christian Fellowship Hall, on the upper level of the Las Rampas Centre in Fuengirola.